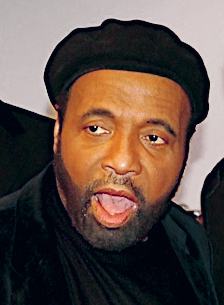 A Tribute to Andrae Crouch: Let the Church Say, Amen! Let the church say, Amen, for a pioneering gospel music composer and the father of contemporary gospel music, Andrae Crouch, who died at age 72. Crouch had been taken to the hospital Saturday with “serious health complications,” according to his twin sister, Sandra Crouch, and he joined the celestial choirs on Thursday, January 8, 2015. We lost one. Andrae Crouch was one of a kind. His long string of instant classics — “My Tribute,” “Soon and Very Soon,” “The Blood,” and others have cemented his place in our hearts and hymnals. His obituaries talk a lot about his Oscar, his work with Michael Jackson, and his contributions to movie soundtracks. Some spend time on his many years as a pastor in Southern California. All of this is true. But I would like to talk about another side of his prodigious gifts, his ability to be a “musical prophet,” if you will, one who anticipated and codified most of the musical trends to come in the field of contemporary gospel and praise and worship music. And he did it in such a way that the music and the message melded as never before. I believe that can be best heard in his solo recording “Just Andrae” from 1973, which gave rise to his craft as a composer of the African-American sacred song tradition. His music takes us back to the age of musical modernity. Through his compositional style of blending and borrowing musical elements of other cultures, he led the 20th century Christian church into the practice of multi-ethnic ministry. Andrae Crouch shared a theological grammar that would give birth to another way of doing a theology of radical racial reconciliation of God’s kingdom in the world. His interdisciplinary craft of ministry and music fused contemporary secular and sacred musical styles. As portrayed in his creative musical composition processes, he was a disciplined and rigorous worker. He had inspired, engaged, and transformed the lives of millions of faithful gospel music listeners. Crouch’s historic work within African-American sacred music, black church ministry, and the gospel music world, transcends the commercialization of those traditions and of black culture. Let the church say, Amen, for Andrae Crouch has left behind a healthy canon of musical liturgies that will continue to motivate us to listen deeper, sing louder, and rejoice more graciously to the good sound doctrine of gospel music, which inspires us to embrace each other. Stephen Michael Newby is an associate professor of music and director of composition at Seattle Pacific University. He is a composer, conductor, gospel/jazz vocalist, pianist, and director of the Center for Worship.